PH (Pluggable Header) Board for LPC1343 is based on Cortex M3 core. 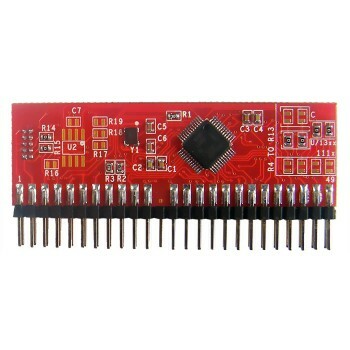 This is a low cost connector board compatible with Cortex Flyer Base Board. PIN Compatible with Cortex Flyer Base Board. 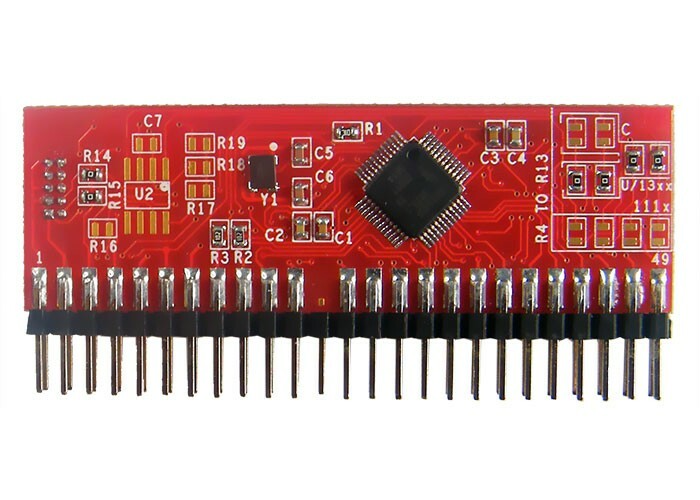 The PH Board has a 10 pin 1.27mm standard SWD Box Header for debugger connectivity. Note: The CoiNel CoLinkEx Cortex JTAG/SWD Debugger has to be brought separately and is not the part of PH Board. The cortex Flyer along with the PH Boards is a very cost effective option and serves as a perfect platform to try your hands on USB and other peripherals based on Cortex M3 based LPC1343 Controller. Programming can be done through the on chip boot loader using UART interface (UART0) and USB. You will need a Cortex Flyer Base Board for ISP programming. The board is tested for ISP through UART only.